263.5 km. 121 classified finishers. As a result of an earlier attack by Henry Anglade, six riders (five of them Belgians) entered the Roubaix stadium. Emile Daems led out the sprint, but van Looy was enjoying fabulous form and easily won. He did have to be cautious, however, because his rear tire had a slow leak and he was afraid of rolling it on the banking. René Vanderveken (Solo-Van Steenbergen) s.t. Jo De Roo (Helyett-Fynsec-Hutchnson) s.t. Léon Van Daele (Wiel's-Flandria) s.t. Jozef Vloeberghs (Dr. Mann) s.t. Willy Van den Berghen (Mercier-BP-Hutchinson) s.t. Piet Van Est (Faema) s.t. 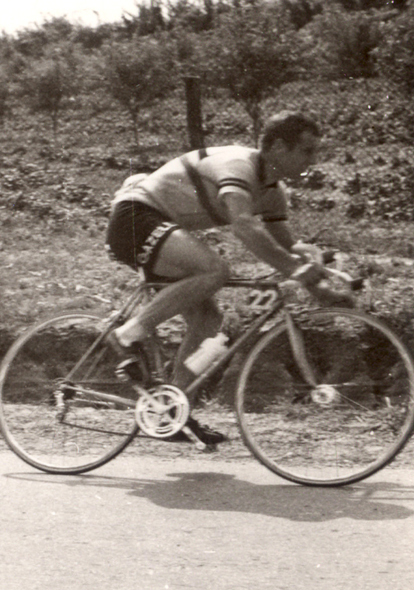 Simon Leborgne (L. Bobet-BP-Hutchinson) s.t. Antoon Van der steen s.t.